The Sounds of Language is an introductory guide to the linguistic study of speech sounds, which provides uniquely balanced coverage of both phonology and phonetics. 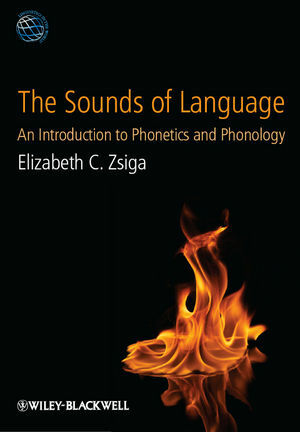 Elizabeth C. Zsiga is Professor in the Department of Linguistics at Georgetown University, where she has been a faculty member since 1994, teaching phonology and phonetics to both graduate and undergraduate students, with concentrations in theoretical, applied, and socio-linguistics. She has been published in numerous linguistics journals and books. Her research describes the sound systems of diverse languages including English, Igbo, Korean, Russian, Setswana, Serbian, and Thai. • Explores diverse topics ranging from the practical, such as how to make good digital recordings, make a palatogram, solve a phoneme/allophone problem, or read a spectrogram, to the theoretical, such as the role of markedness in linguistic theory, the necessity of abstraction, features and formal notation, issues in speech perception as distinct from hearing, and modelling sociolinguistic and other variation.